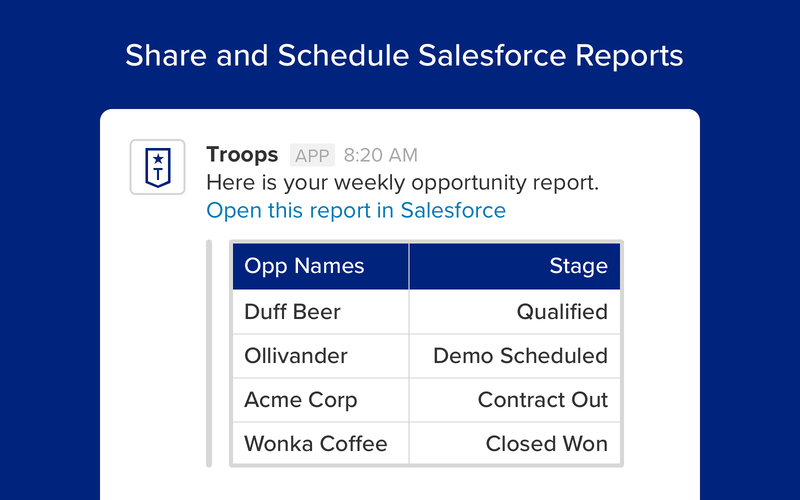 Troops is the easiest way to use Salesforce directly from Slack and centralize key sales workflows.Key features:Search + Edit Salesforce: Update any Salesforce record without ever leaving Slack, including both standard and custom objects.Sales Gong + Opportunity Alerts: Celebrate with your team when they close a deal, create an opportunity, or hit key sales milestones — completely customizable with filters and specific deal information.Salesforce Reports in Slack: Schedule or pull any of your existing Salesforce reports across channels or DMs.Get started for free at Troops.ai! Troops will be able to send messages to your workspace. Troops will be able to access information about your workspace, including name, email domain, and icon. Troops will be able to view your user id number, full name, and workspace id number on your workspace. 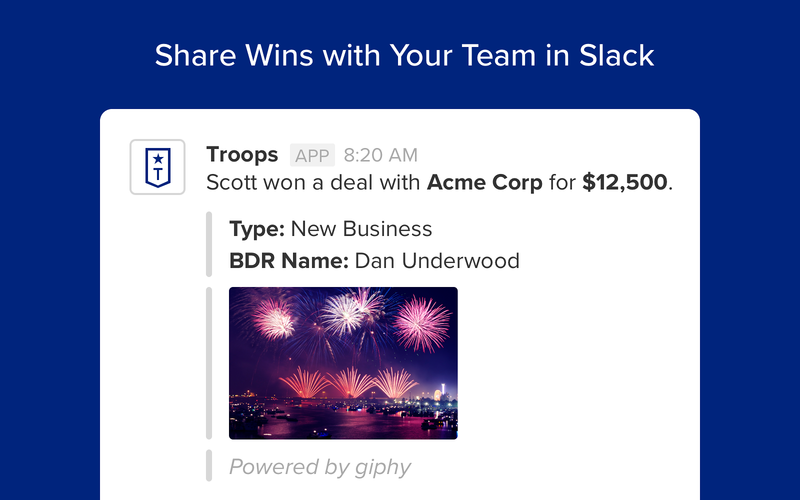 Troops will be able to view your Slack workspace name, domain, and icon. Troops will be able to view your Slack avatar on your workspace. Troops will be able to view the email addresses of your Slack workspace’s members. Troops will be able to modify information about your public channels, including name and purpose, as well as archive and create new ones. 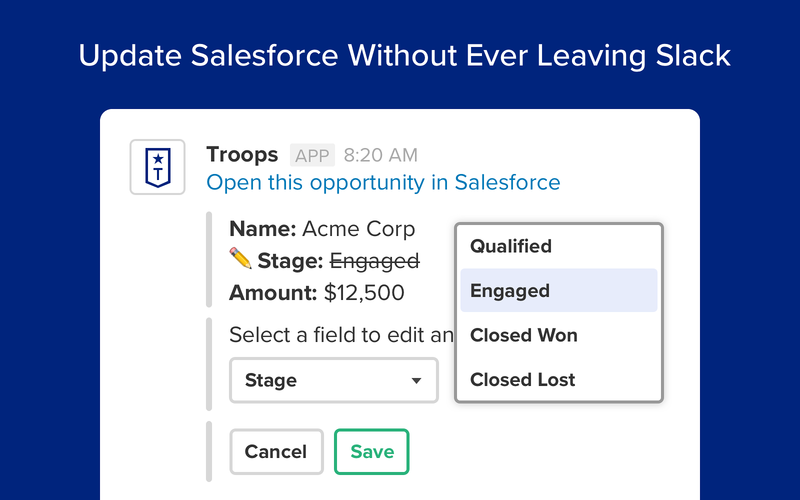 Troops will be able to access pinned items on your workspace along with associated messages, files (including content and information such as who uploaded it, when it was uploaded, and sharing history), and who pined the item. Troops will be able to access basic information about your public channels (including names, topics, purposes, creation date, and latest message). Troops will be able to access basic information about your private channels (including names, topics, purposes, creation date, and latest message). Troops will be able to modify information about your private channels, including name and purpose, as well as archive and create new ones. Troops will be able to install a bot user that appears in and has access to your workspace’s directory. It can also post messages and view activity on messages in any channel it is invited to. 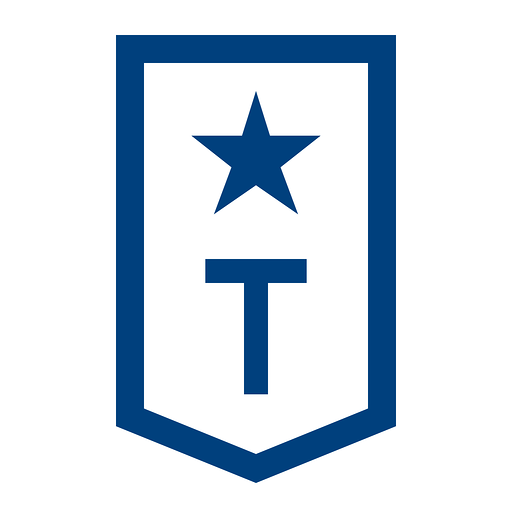 Troops will be able to access profile information for all users on your workspace, including names and contact information. Troops will be able to access any messages and activity you can see in public channels. Troops will be able to access any messages and activity you can see in private channels. Troops will be able to access content of files created inside of or uploaded to Slack (including information such as who uploaded the files, when they were uploaded, associated comments, and sharing history).